The Red Scare over the success of Bernie Sanders’s campaign has begun. Sanders and his supporters are now expected to explain on a regular basis why it is that socialism isn’t going to destroy America and how any of his policy proposals will be paid for. Oddly, none of the Republicans running for president or their supporters are expected explain how they will pay for all of the wars they apparently want to fight or how all of their tax plans that include enormous tax cuts for the wealthy won’t add to our deficits and debt. Because Bernie proudly wears the “democratic socialist” label to describe his political philosophy, people now equate his policy proposals with socialism as an economic system. The most basic definition of socialism, taught to secondary students across the country, is that socialism is an economic system where the means of production are publically owned by the state whereas in a free-market system the means of production are privately owned by individuals. Only one of Bernie’s proposals involves the government taking over a private, for-profit industry, and that is health care insurance. The doctors and hospitals would still be privately owned, but the payment method for medical services would be a single-payer Medicare for All program. In other words, health care insurance would become as “socialist” for everyone else as it currently is for senior citizens who receive their health care through Medicare. If you ask someone who knows anything about Europe, they will tell you either a) that Bernie’s “socialism” is nothing to be afraid of, or b) that Bernie really isn’t even a socialist, but more accurately a “social democrat” similar to those who belong to Britain’s Labour Party, France’s Socialist Party, or Germany’s Social Democratic Party. Most Americans do not understand that all of our Western, democratic, capitalist allies from Canada to Australia to Western and Central Europe, have a major party whose political agenda is identical to Bernie’s. Most Americans do not understand that all of our Western, democratic, capitalist allies already provide health care insurance to all of their citizens, highly subsidize higher education, Pre-K, and child care, and guarantee paid family leave and vacation time. These countries have what could rightly be called “socialist” or “social democratic” programs within a regulated, free-market, capitalist economy. Enacting Bernie’s ideas does not change the economic system of the United States, it simply shifts taxing and spending priorities towards the middle and working classes. Will taxes have to be raised in order to pay for these programs? Absolutely. Will taxes have to be raised on middle class families, as well? Absolutely. Will taxes have to be significantly raised on the top 1%? Absolutely. But, let us be clear. If we choose to raise taxes to pay for new programs that doesn’t mean that we no longer have a free-market, capitalist economy or that we have lost our rights and freedoms. Who is more free: the person whose loses their health care insurance when they lose their job, don’t have any health care insurance through their employer at all, who can’t realistically change jobs because of the changes to their health care insurance, or the person whose health care insurance stays the same regardless of their employment? Who is more free: the person who has to choose between quitting their job in order to have children, paying for full-time daycare, settling for part-time work, or the person who can stay home with a newborn, receive a portion of their income, and then return to their job? Who is more free: the person whose parents dictate where they can go to school and what they can study, the person who cannot attend college at all due to cost, the person who must take out enormous loans that will saddle them student debt for years after they graduate, or the person who can attend trade school, community college, or a university tuition free? For equal opportunity and the pursuit of happiness to be a reality, individuals have to come together and pay for the programs, services, and opportunities that enable people to pursue their goals. In the globalized, competitive economy of the 21st century, where middle class wages have not been able to keep pace with the rising costs of child care, health care, and higher education, it is now time for the United States to enter the third phase of constructing a social welfare state that enables individuals to develop their potential and live fulfilling lives. The first phase was FDR’s New Deal and the creation of Social Security. The second phase was LBJ’s Great Society and the creation of Medicare and Medicaid. The third phase began under Barack Obama and should continue under Bernie Sanders with the creation of paid family leave, publically-funded higher education, and expansions of Social Security and Medicare. The Republican Party argues that we should cut social spending, privatize existing social programs, and cut taxes in order to achieve economic growth. The problem with this approach is that no amount of economic growth will increase wages enough to enable working class and middle class families to pay for child care, Pre-K, and higher education on their own. These services and opportunities need to be publically-funded by society as a whole. Workers currently pay into the Medicare and Social Security Trust Funds in order to receive benefits when they become eligible. In practice, current workers are paying for the benefits being received by retirees, which makes these important programs an inter-generational contract. Current workers will rely on younger workers to pay into the programs to support them when they retire, as well. Social Security and Medicare are necessary programs because most individuals would be unable to save enough money to cover their living and health expenses until death. Both programs have worked wonderfully to reduce poverty and improve health for senior citizens. It is time that other services be added to the inter-generational contract of the social welfare state. Everyone should pay into a new entitlement program within Social Security that will provide paid family leave for new parents or those wanting to take care of a sick relative. Everyone should pay taxes to publically-fund child care, Pre-K, and higher education. Doing so would not be a departure from America’s past, but a continuation of it. Americans have been paying for important services and programs in a “socialist” manner for many years, from FDR’s unemployment insurance and Social Security, to LBJ’s Medicare and Medicaid and food stamps, to Barack Obama’s Affordable Care Act. The choice that Americans face is whether they think the free-market can be trusted to create the conditions within which individuals can provide everything for themselves, or whether it makes sense given new economic realities to begin redistributing wealth and publically-funding important programs in order to guarantee equal opportunity. The economic pie can obviously still grow, but it is unclear whether the gains from that growth are naturally distributed in such a way that working and middle class families can succeed. Recent history, not simply the recovery from the Great Recession, but fiscal and social policy since the 1980s, indicates that without government programs that consciously direct economic gains towards child care, health care, and education the working and middle classes will struggle to afford those things that make live enjoyable while a small minority amasses more income and wealth than they could possibly ever need or spend in their lifetimes. The United States built the largest middle class in world history with over 30% of the workforce unionized and top income tax rates above 70%. Bernie’s “democratic socialism” is about rebuilding the middle class that used to exist before tax cuts and spending cuts shifted more wealth towards the top and more costs onto working and middle class families. It’s pretty simply, those at the top have become wealthier than ever while everyone else struggles to pay for the things that they used to be able to afford while still saving money for retirement. The American Dream has been under attack for awhile now. Those who benefit from this redistribution of wealth towards the top will try to scare you away from the solutions to the problems facing us by arguing that “socialism” will destroy our economy. Tell them that the “socialism” of Franklin Roosevelt, or even Dwight Eisenhower for that matter, sounds just fine to you. 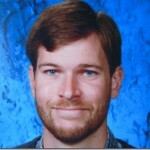 Bryan Henry is an educator, a high school teacher, and a community activist in Kingwood, Texas.